Withdrawn between Raynes Park and Copse Hill ,this section replaced by new 286. RF type replaced by RT. 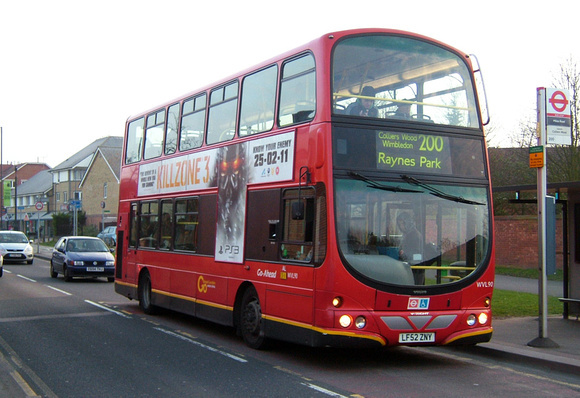 Sunday pm extended from Raynes Park to Kingston. Mon-Sat extended from Wimbledon to Mitcham via Phipps Bridge - partly replacing withdrawn 285 between Wimbledon and Haydons Road. Sunday withdrawn between Raynes Park and Kingston. CONVERTED TO SINGLE DECK - ONE PERSON OPERATION. Rerouted to double run via Atkinson Morley Hospital except Mon-Fri peaks. Sunday withdrawn between Merton Garage and Wallington. Mon-Sat extended from Mitcham to Streatham Garage - and Sunday am service withdrawn. Mon-Sat diverted at St Leonards Church via Streatham Hill to Brixton Garage BN. SERVICE TRANSFERRED TO CITYRAMA LTD under LRT tendering process. 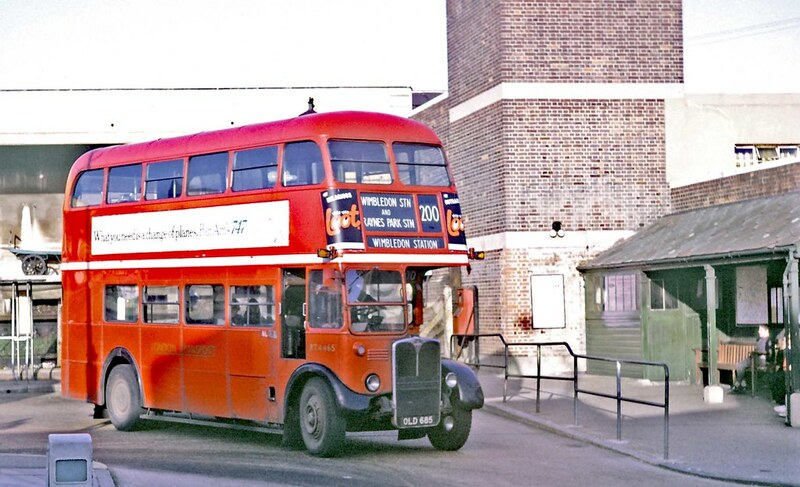 Streatham terminal arrangements altered because Cityrama could not turn at Brixton Garage. Mon-Sat evgs cut back from Streatham Hill Stn to St Leonards Church. Sunday allocation transferred to Sutton (A) although AA bus driven by Sutton driver. Sunday extended from Wimbledon to Streatham. Sutton (A) and Colliers Wood (AA) allocations transferred to Merton (AL). Sunday converted to midibus operation and part transferred to Sutton (A). Sunday extended from St Leonards Church to Brixton Garage. Extended from Streatham Hill to Tulse Hill Station via Christchurch Road - Roupell Road and Upper Tulse Hill. 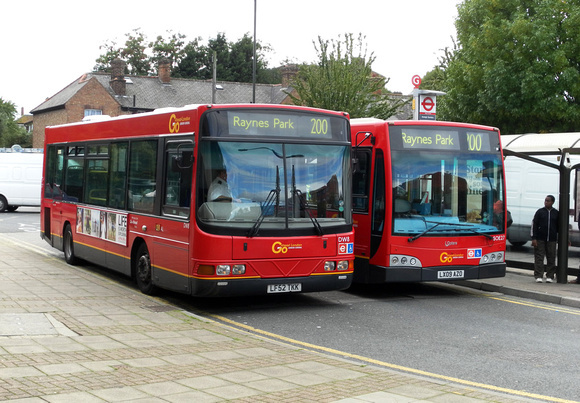 This was a temporary arrangement until new Darts were delivered for new Route 201. Withdrawn between Mitcham and Tulse Hill - replaced by new 201. 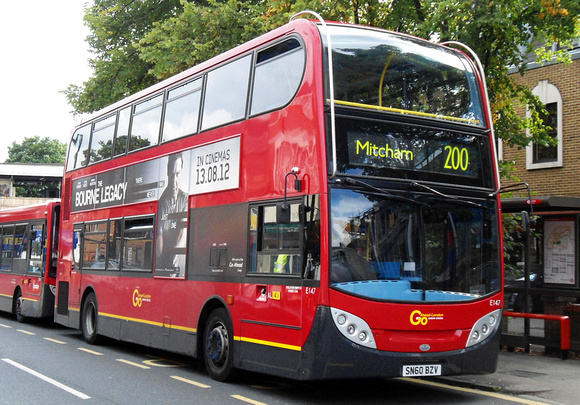 Route transferred to Centra London as a result of their purchase of Mitcham Belle's London Bus operations. 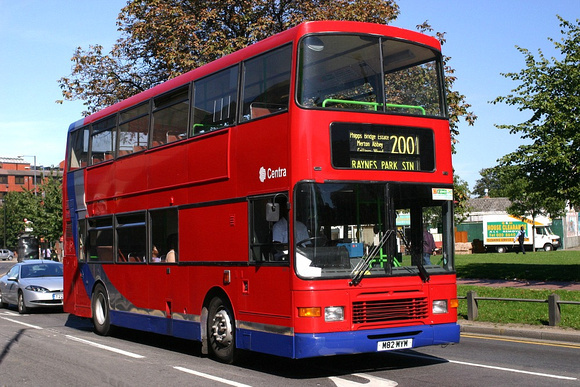 New contract commenced - Certain school time journeys continue with double deck PVL - but the current operation of these journeys will be extended from Wimbledon to Raynes Park to match the normal service. Phased conversion from LDP type to new Enviro 200 darts.